Growing up on the outskirts of Buenos Aires, Brian Berneman explains he lived a privileged life, he had everything he could have wished for - wonderful parents and siblings, family holidays away and a safe living environment in the ‘burbs of a beautiful city. His family were incredibly open, nothing was taboo at the dinner table as his parents were into spirituality. While Brian attended primary school his mother studied astrology and bioenergetic therapy and his dad owned a business. He shares that he was never swayed toward unhealthy ways of being and developed a curiosity for spirituality, even throughout high school he continued to be inspired by his parent’s personal development and conscious life choices. At university Brian studied a Bachelor of Social Communications and a Bachelor in Journalism with a Post Graduate Diploma in Neuroscience. At the same time he was maintaining balance by learning Tibetan Buddhism, Reiki, Sound Healing and how to read Akashic Records. After university, without knowing anyone or what was instore for him, Brian bought a one way ticket to New York City with a “I’ll just go and see” attitude. He booked three nights in a hotel and got to work searching for a job. He gained work at a marketing agency managing a clothing brand that was off to fashion week. His job was to manage their PR and the logistics of their fashion show. He was then asked to move to Miami where he accepted an apprenticeship at a radio station interviewing NBA players and American football stars. When his visa ran out he returned to Argentina and became a volunteer at AIESEC as a youth organisation representative. Next it was on to Berlin as he had a digital marketing role for Groupon, but he didn’t like that work, his heart was calling him towards the deeper study of Tibetan Buddhism teachings. Brian travelled to Northern California and immersed himself in these studies by living in a retreat centre as a volunteer. In exchange for the teachings, food and a place to lay his head he worked everyday for the Tibetan Text Preservation Project where the ancient text was gathered and made into sacred books for retreat centres around the world. Every day Brian began with 6am meditation, yoga, breakfast, then off to a daily ceremony with chanting, then work. His work was also treated as a sacred practice - where the teachings around staying present were utilised. It was vital that the books he was working with retained a high vibe so if any worker had negative thoughts or was physically sick in any way they weren’t to work on them. One of Brian’s vital roles was to collate the pages and bind them together, this was a role that took extreme attention to detail and a fully present, focused mind. “Although we were making millions of books, I was aware it was one person’s experience I was working on at a time and that each book needed extreme mindfulness”. He decided to stay for two years and his role expanded into managing the communications for Dharma Publishing which included marketing, proofreading and even translations. At the same time he started leading the Buddhist classes for the residents and then for the guests on the retreats. He agreed to stay 3 more years but the universe had other plans for Brian as his American visa was denied. After a small stint back home and a holiday around the world he arrived in New Zealand where he initially settled in Auckland, staying at a friend’s place. There, he was asked to set up a room for a healer coming to use the space. She was curious about the amazing change of energy in the room and commented on it to the owner, she wanted to meet Brian. The rest was history… they went into business together, starting in Whangarei, and have developed online and in person courses to help people live authentic lives. You being You is a hub of different teachings that has a focus on living with balance and effectively enhancing authenticity. Brian commuted from Whangarei to Auckland weekly to teach his Tibetan yoga and meditation classes as well as host sound healings. He then moved to the city and was sponsored to stay in New Zealand by a Wellness centre he helped set up and run here in Auckland. He also met his other business partner there Kayla and they started a movement called Conscious Action, a community raising awareness and inspiring meaningful action. They host events around personal and planetary mindfulness and celebrate those actions that are doing their bit for developing a better world. 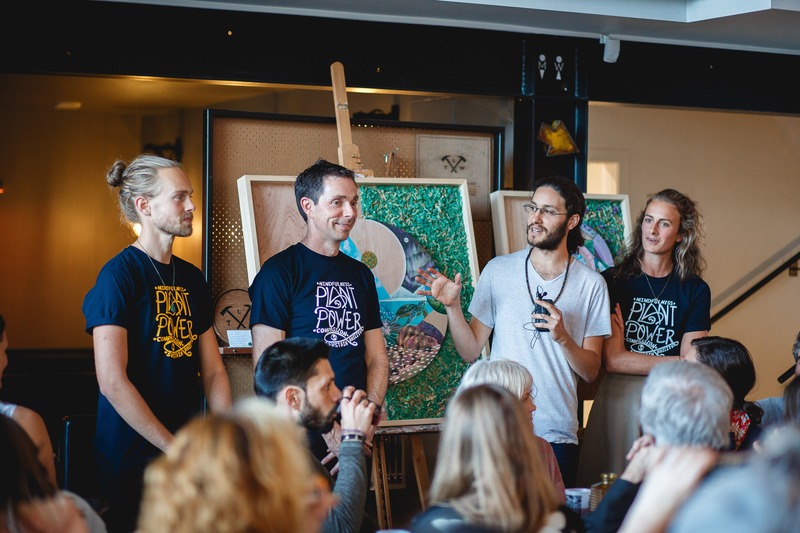 The Workshop sponsors Conscious Action and their events as it aligns well with our values. What Brian loves about working here is the energy of the space “I like how the space is open and spacious and how conscious everyone is to helping change the world for the better”. 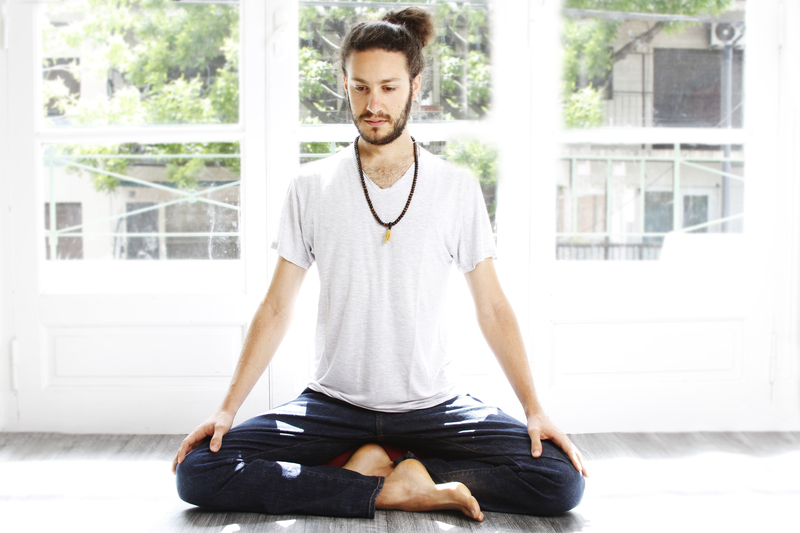 Brian’s conscious way of living is very inspiring to be around, his balanced nature is infectiously calm yet motivating and his “Om” is not too shabby either. ”I wish to keep growing, experiencing and being open to learning new ways of being and help others realise there is a different way of living.” Well here at The Workshop we support this sort of intention in our space.